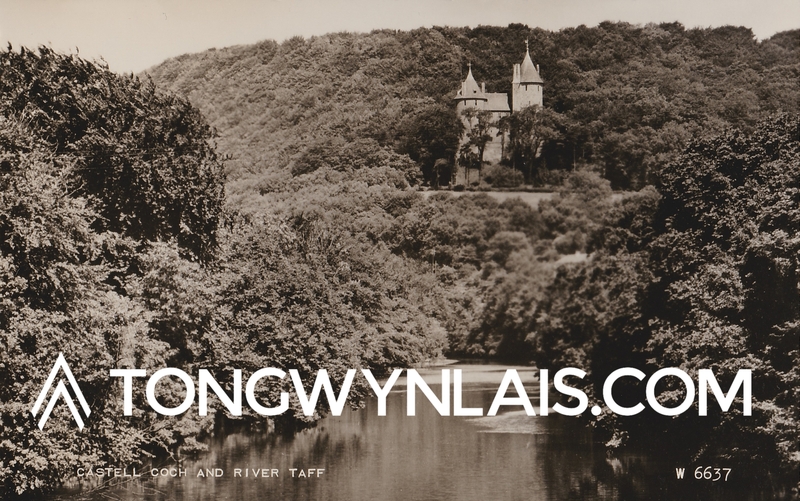 This instalment of “Postcards from Tongwynlais” features a photo of Castell Coch from renowned publisher Valentine & Sons Ltd.
Valentine’s was established in 1851 by Mr James Valentine (1814 – 1879). After James’ death his two sons, George Dobson and William Dobson took over the company. They made lots of products but in the late 1920s decided to concentrate on postcard production. They didn’t anticipate the public’s growing demand for colour cards and by the 1950s their business was suffering. John Waddington & Co. purchased the company in 1963. 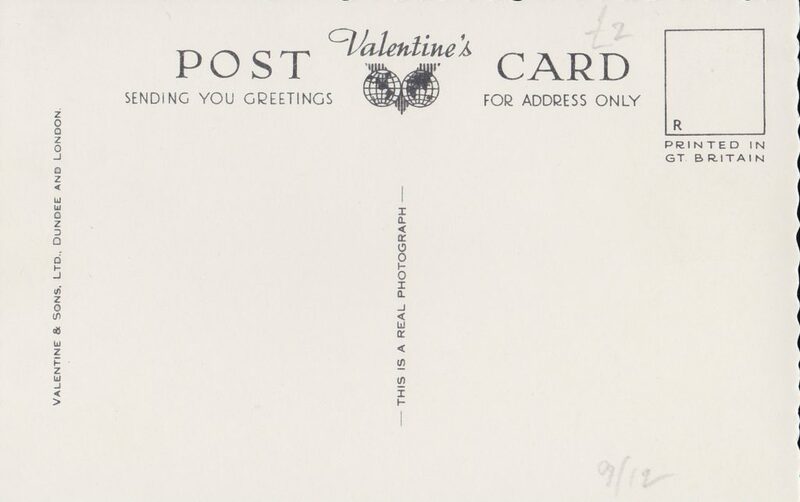 The company used a special numbering system which means we can date this postcard to around 1957. The view is very popular today with photographers and the differences are quite interesting. The most significant change is the lack of woodland, which means we can see the base of the castle and the fields that are now the golf course. The power lines, which people often digitally remove, weren’t a problem in the 50s. Unfortunately this postcard was never used to send correspondence so there’s nothing of interest on the reverse.